If you're experiencing indifferent media service, excessive media rates, little pro-activity, or you simply in need of a finely-tuned media buying service, help is at hand. 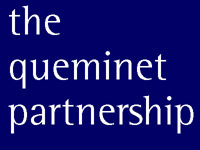 The Queminet Partnership will make more of your media advertising £££££££'s. To fast-track you to the most appropriate examples of our pragmatic approach to securing media value we have built a degree of interactivity into our site.